Successful decision-making by home-owners, lending institutions, and real estate developers among others is dependent on obtaining reasonable forecasts of residential home prices. For decades, home-price forecasts were produced by agents utilizing academically well-established statistical models. 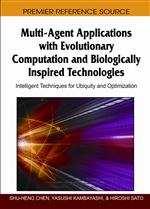 In this chapter, several modeling agents will compete and cooperate to produce a single forecast. A cooperative multi-agent system (MAS) is developed and used to obtain monthly forecasts (April 2008 through March 2010) of the S&P/Case-Shiller home price index for Los Angeles, CA (LXXR). Monthly housing market demand and supply variables including conventional 30-year fixed real mortgage rate, real personal income, cash out loans, homes for sale, change in housing inventory, and construction material price index are used to find different independent models that explain percentage change in LXXR. An agent then combines the forecasts obtained from the different models to obtain a final prediction. The economic impacts of temporal changes in residential home prices are well documented. Changes in home prices play a significant role in determining homeowners’ abilities to borrow and spend and therefore general economic conditions. Case and Shiller (2003, p. 304) state: “There can be no doubt that the housing market and spending related to housing sales have kept the U.S. economy growing and have prevented a double-dip recession since 2001.” Earlier, Case et al. (2000) investigated the effects of the real estate prices on the U.S. economic cycles. The economic benefits of home building were measured in a study by the National Association of Home Builders (2005). They maintain that home building generates local income and jobs for residents and increases governments’ revenues. The economic impacts of home-price changes are not unique to the U.S. housing market. For example, Ludwig and Torsten (2001) quantify the impact of changes in home prices on consumption in 16 OECD countries, and in Australia the government expected “moderating consumption growth as wealth effects from house price and share price movements stabilise” (Commonwealth of Australia, 2001). Changes in home prices in a relatively large economy (such as that of the U.S.) also affect economic conditions in others. For example, Haji (2007) discussed the impact of the U.S. subprime mortgage crisis on the global financial markets. Reports in the Chinese news (e.g., China Bystanders, 2008) reveal that banks in China are experiencing lower profits due to losses on trading mortgage-related securities. On August 30, 2007, a World Economy report published by the Economist stated that “subprime losses are popping up from Canada to China”. On May 16, 2008, CNN Money.com (2008) published a summary report of the mid-year update of the U.N. World Economic Situation and Prospects 2008. The U.N. report stated that the world economy is expected to grow only 1.8% in 2008 and the downturn is expected to continue with only a slightly higher growth of 2.1% in 2009. The slow growth is blamed on further deterioration in the U.S. housing and financial sectors that is expected to “continue to be a major drag for the world economy extending into 2009.” Given the economic impacts of changes in home prices, accurate predictions of future changes probably help project economic conditions better. Since April 2006, forecasting home prices gained additional importance and therefore attention after the Chicago Mercantile Exchange (CME) began trading in futures and options on housing. Investors can trade the CME Housing futures contracts to profit in up or down housing markets or to protect themselves against market price fluctuations, CME Group (2007). Initially, prices of those contracts were determined according to indexes of median home prices in ten metropolitan statistical areas (MSAs): Boston, Chicago, Denver, Las Vegas, Los Angeles, Miami, New York, San Diego, San Francisco, and Washington, D.C. as well as a composite index of all 10 cities (CME, 2007). A second composite index was later introduced to include twenty metropolitan areas. Additionally, it is calculated for Atlanta, Charlotte, Cleveland, Dallas, Detroit, Minneapolis, Phoenix, Portland, Seattle, and Tampa as well as a composite index of all 20 MSAs. These are financial tools to trade U.S. real estate values and are based on the S&P/Case-Shiller Indexes (CSIs) for all 20 cities and the two composites. CSIs are recognized as “the most trustworthy and authoritative house price change measures available” (Iacono, 2008). Case and Shiller (1989 and 1990) presented early introduction of the index, its importance, and forecasts.